Calm paisley design with with a solid color on the reverse side. 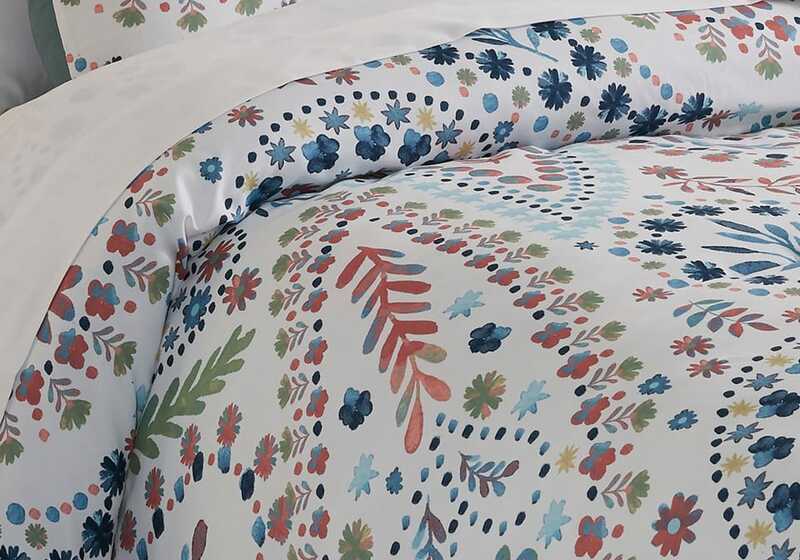 2 Piece Comforter Set – Includes Comforter and 1 Sham. 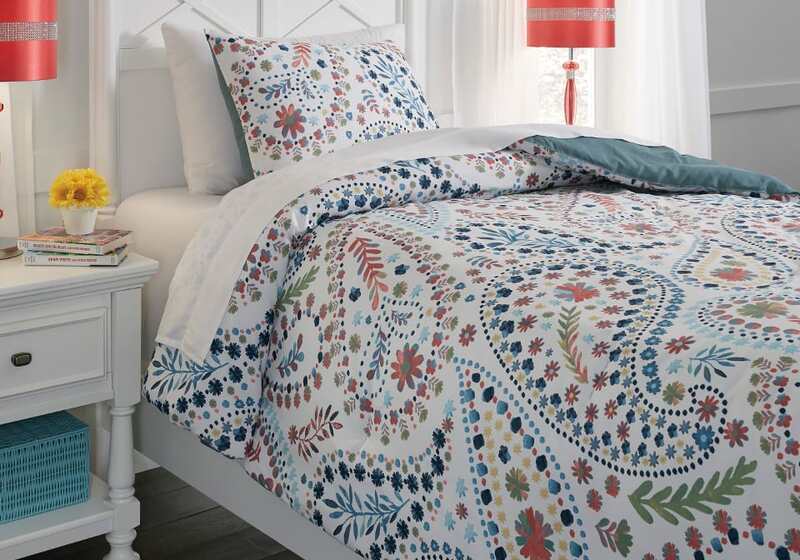 Paisley Design in Tones of Pink, Aqua, and Orange. Polyester Microfiber. Machine Washable.